Sheraton in Koh Samui – best A/C of all! Worst food – Colonel’s Retreat, Delhi – Susan’s food poisoning location! Worst roads – India, hands down! Great coincidence – Aileen didn’t have her phone charger and she used her phone to take pictures. Mark had his camera since he used his phone for pictures. He loaned Aileen the camera but didn’t have the charger for it. Annie from Tennessee had a charger that fit the camera! All was well in the photography world. 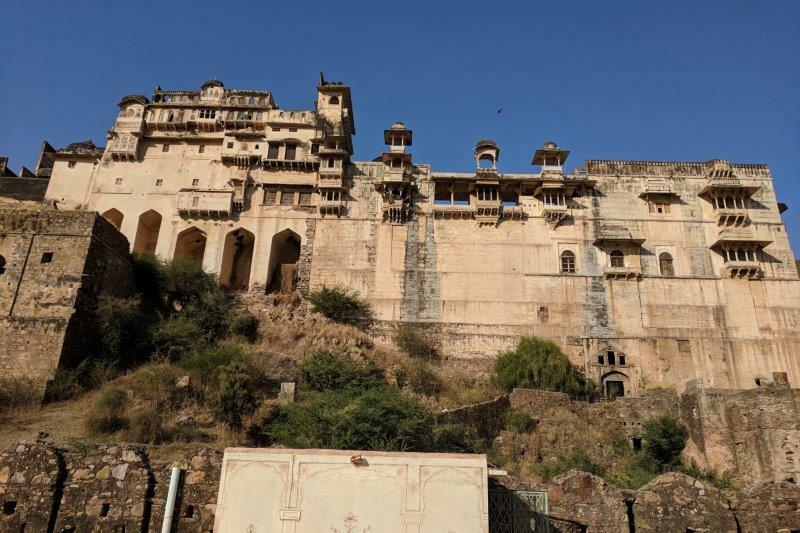 Bundi was our least favorite stop In India. It’s a small town with fort and palace – surprise! The tour guide was terrible – we fired him after about an hour. 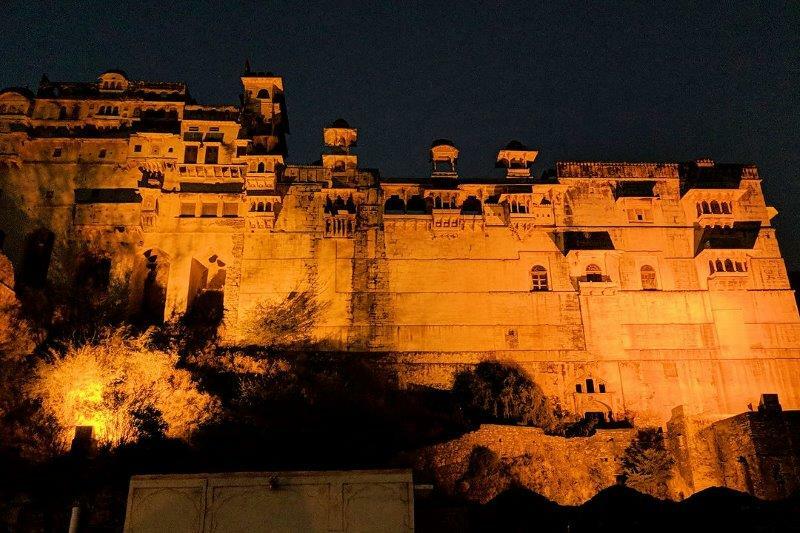 The best thing about Bundi was sitting on the roof of the hotel and watching the total lunar eclipse. 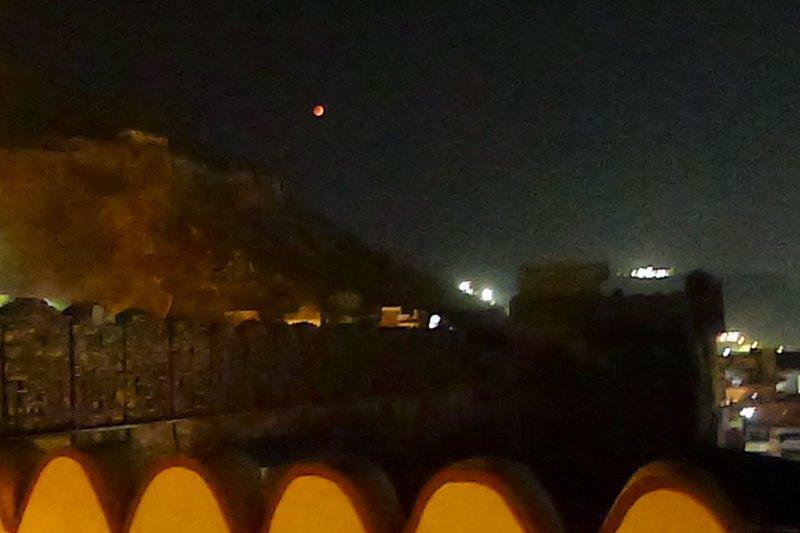 The lunar eclipse occurred when we were in Bundi. We watched it rise over the fort and then go into eclipse.